OLD PARKED CARS. 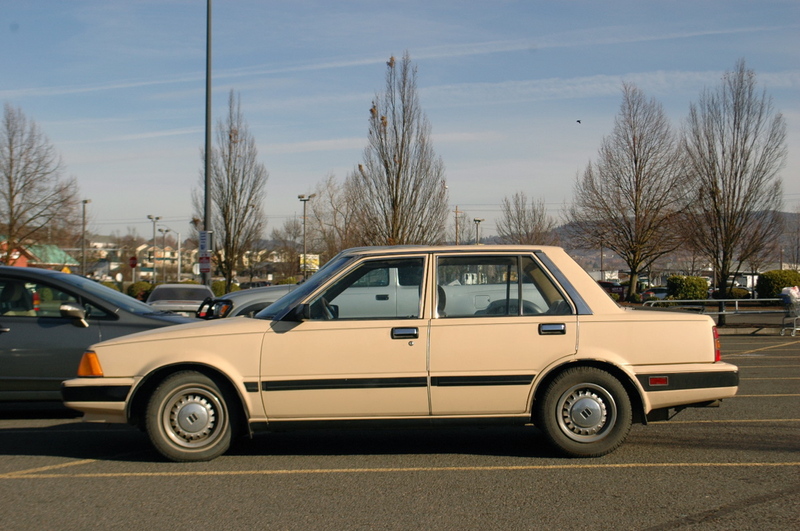 : 1983 Datsun/Nissan Stanza Sedan. Will someone please tell me what the deal is with these trunk racks? Saw one on an 80s Prelude yesterday. Looked awesome but what is the point? 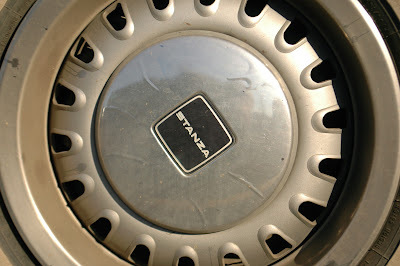 OMG, look at that chrome sticker coming unpeeled on the hub cap. 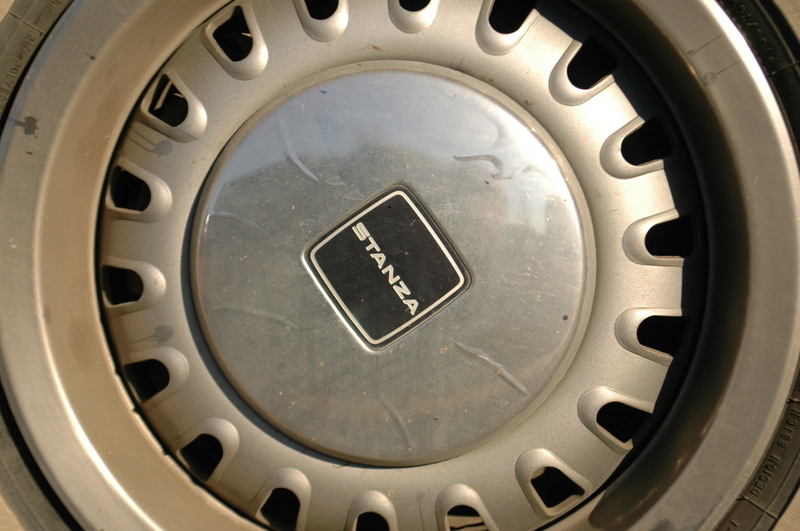 classic Japanese engineering past its expiraton date. Looked awesome is the point. Where ever will I put my luggage?? Am I the only one who thinks this car actually looks really, really good? Nope, you're not alone. I absolutely love the Stanza. They're insanely rare now, so this is one hell of a find. i think the trunk rack thing was largely for visual effect, to balance out the back end and make it not look "blank." 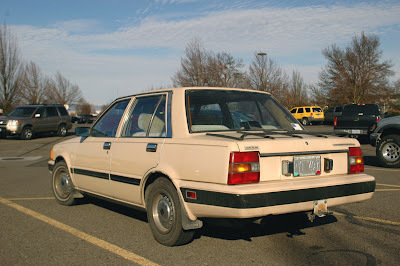 i don't want this car, but i love the idea of loading a couple leather trunks on the back of some sporty coupe or convertible and roadtripping through the southwest. 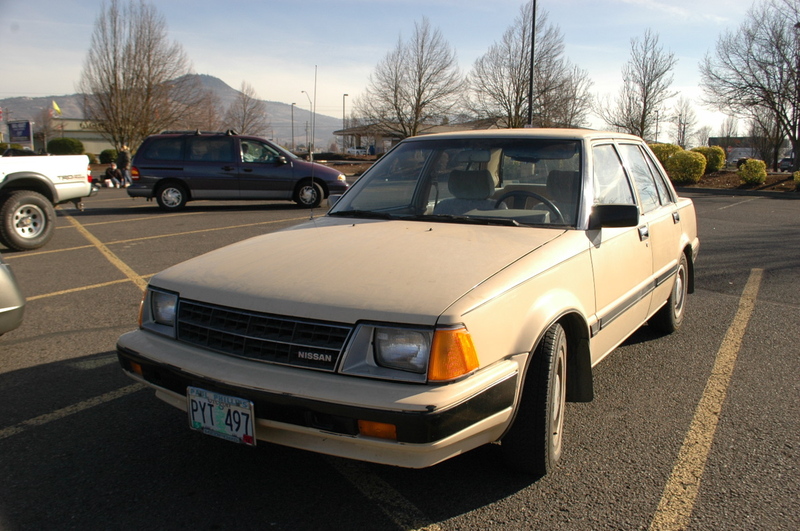 i would never have guessed that a sedan stanza existed, making this a very cool find. 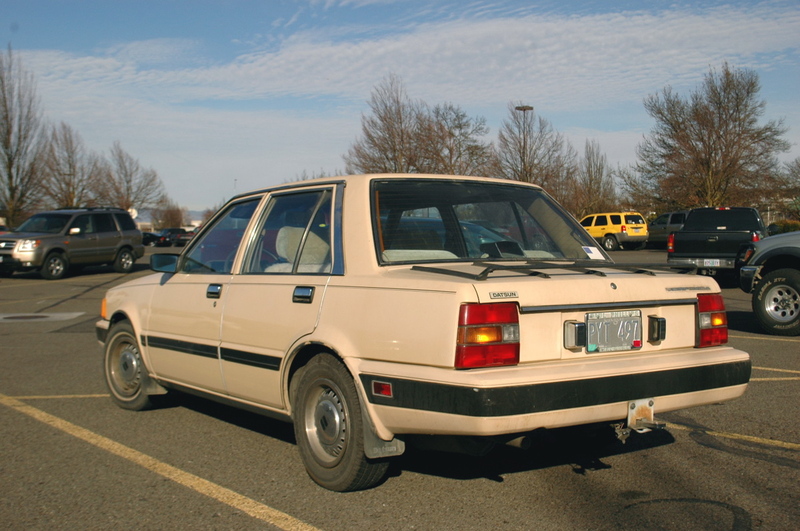 but if anything, this car makes me laugh because it just looks like a rebadged k-car or tempo. I just bought one a few months ago with 37000 original miles. That's 37 not 370. Perfect interior (red) CA20S with 5 speed manual for 1500 bucks. "...what the deal is with these trunk racks?..." Like landau bars, but occasionally...functional for luggage. These were all design gimmicks pulled from the horseless carriage days. When a trunk was a steamer trunk strapped to the rear rack and landau bars were part of the folding top mechanism. Make sure you have the Prest-O-Lite compressed acetylene gas canisters charged for that road trip.